Despite the recent trade war between Donald Trump and the Chinese, it seems that the Chinese are still flooding the American market with electronics. 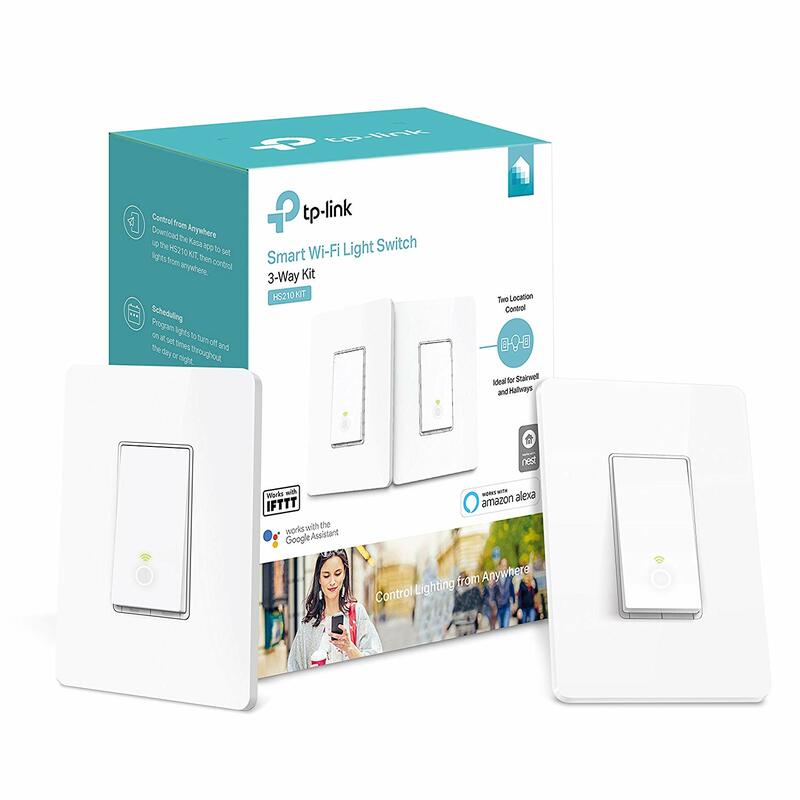 You'll find a number of smart switches that are essentially the same thing, but with a few cosmetic changes and different brand names. 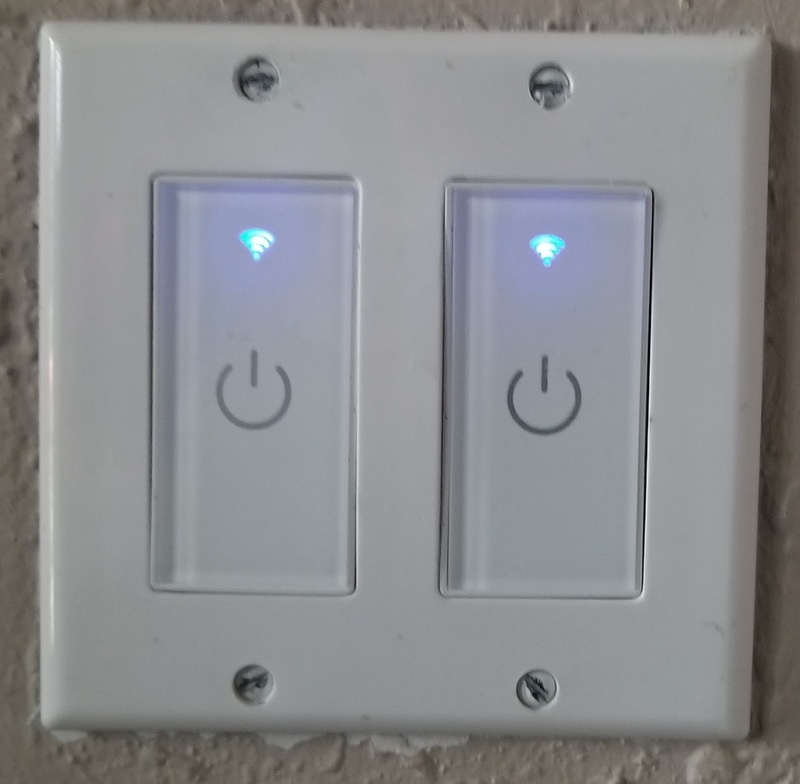 I picked up a two gang set from Amazon recently to install in my two gang front hallway box so that I could control my front porch light and my front hallway light. The no-name brand that I purchased on Amazon is a touch-based switch rather than a physical switch. 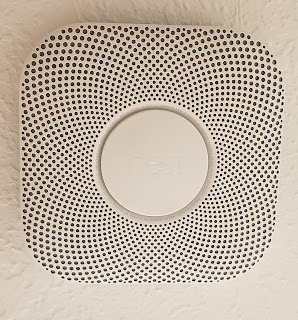 I managed to get it to work with my oddly wired two-gang box which has some kind of weird cross-over that powers the bathroom vent switch that sits on the opposite wall. Admittedly, out of the box, the switches looked a little cheap. But, when they're actually installed and working, they look pretty good and accent the hallway wall quite well. 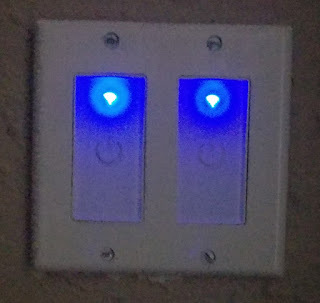 The best feature is the friendly blue glow that shines from the switches. 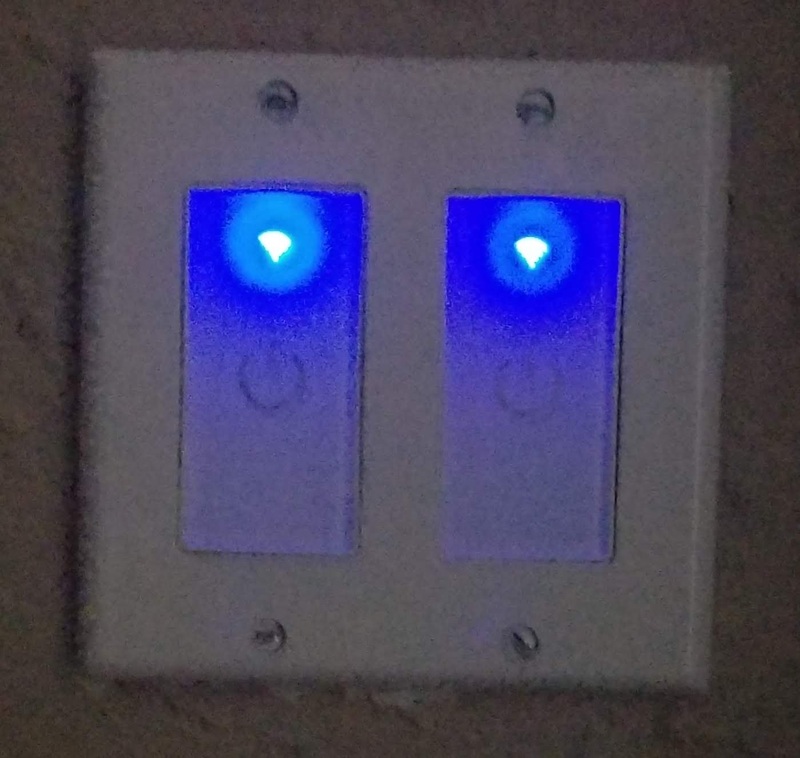 This essentially acts as a night light in the hallway once it gets dark. 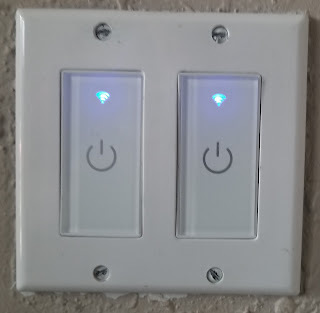 Just like the rest of these no-name Chinese switches, mine works with the Smart Life app and was easily integrated into my Google Home environment. A rep from Colorado Christian University called looking for Clovis. Clovis was so excited to hear from her that his exclamation of "Hallelujah" took her back a bit. The rep said that she wanted to introduce Clovis to an admissions counselor but Clovis said he wasn't dressed for a meeting. Clovis was interested in becoming a Televangelist. When the rep asked Clovis if he was interested in studying "online", Clovis said he wanted to study "The Bible". The rep kept trying to get Clovis to understand the concept of online learning. According to multiple media outlets, more than 40 people, including actors Felicity Huffman and Lori Loughlin, have been charged with fraud for their alleged involvement in a massive college admissions scheme. Those involved in the scheme allegedly tried to get students to gain admission to top-tier colleges and universities by paying bribes up to $6 million, getting students to be admitted as recruited athletes under false pretenses and helping them cheat on entrance exams, per court documents that were unsealed on Tuesday. If convicted, those involved could each face five years in prison. Oh no! Not Lori Laughlin! What will become of Season 5 of Fuller House and the proposed spinoff involving her and John Stamos? And who will star in the next Hallmark Channel Christmas movie about an advertising executive stranded over Christmas in a sleepy Vermont town due to a snow storm? Hopefully Candace Cameron-Bure is available to take over, or the 2019 holiday movie season is ruined! On the bright side, we can be rather well assured that Lori Laughlin will use her upcoming experience in prison to write, direct and star in a Hallmark Channel movie about a white collar executive incarcerated in a federal prison who overcomes her emotional issues just in time to help spruce up the GenPop area for the holidays. And maybe even make some friends along the way. It'll be called Jingle Cells! The room was ominously dark except for one lone spotlight shining down on the subject. "Where are your rebel friends NOW?" the interrogator asked as he entered into sight. He was toying with the subject. He knew that the question would be unanswered. Conversely, the subject knew that there would be no help arriving. There would be no escape. The interrogator looked at his clip board and read menacingly from it. "Samsung. Model #WA52M8650AW. They say you have high efficiency. They say you have achieved Energy Star rating. We shall see if that distinction has truly been earned". The interrogator gleefully called out to an unseen assistant. "Attach the device....". Live with any smart home deployment long enough and you'll begin to wonder if you're actually saving any energy by using smart devices. Think about that long enough and you may even begin to wonder how much energy your various appliances draw on average. If you're keen on monitoring energy usage on specific electronic devices, then there are a fair amount of smart plugs on the market that offer energy monitoring capabilities. I went with the TP-Link HS110 Smart Plug with Energy Monitoring. It should cost you around $15 depending on where you buy it from. 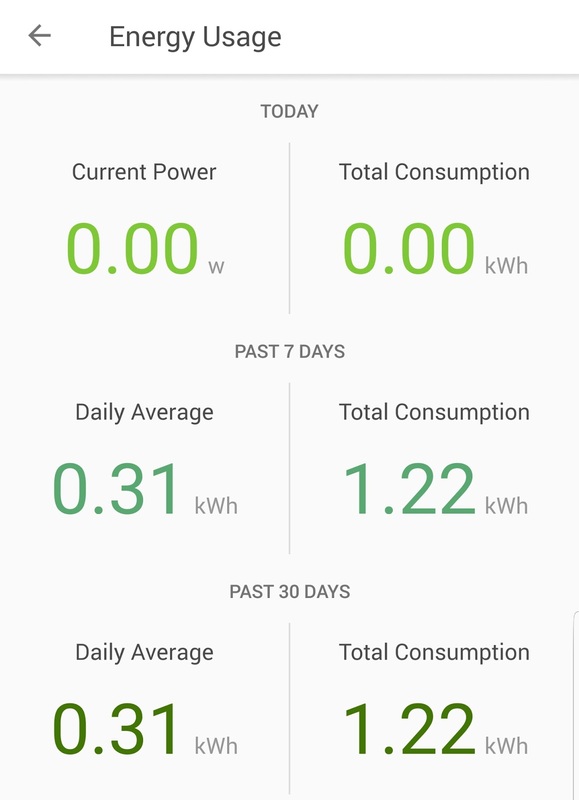 I'm in a fairly poor position to evaluate smarthome energy consumption in my house because I have no benchmark to compare my current consumption to. 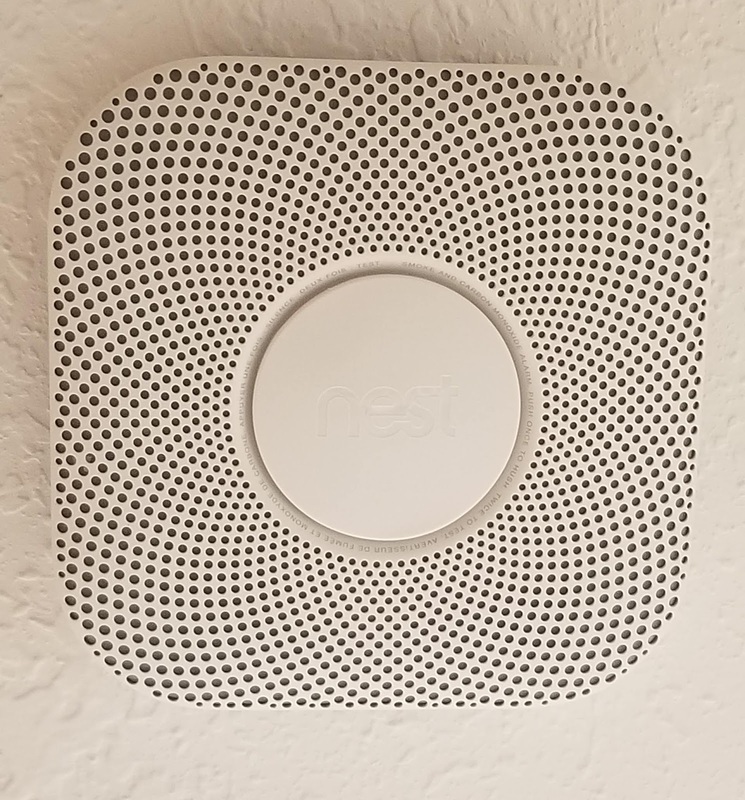 I had a number of smart bulbs installed the moment I moved into the house and had the Nest thermostat put in soon after. 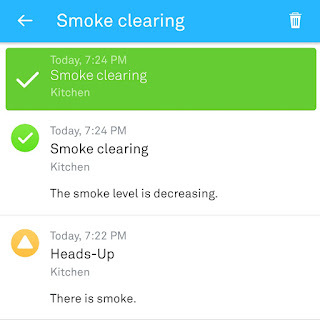 Still, the installation of smart home devices has fed my desire to compile and analyze data. 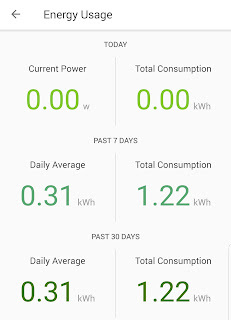 Also, I thought it would be interesting to monitor the energy consumption related to the running of my washing machine, so I attached the TP-Link HS110 Smart Plug to it upon getting it out of the box. Of course, the plug also allows you to turn itself on and off just like any other smart plug does, but I'm not using that function in relation to the washing machine just yet. I'm not even sure why I'd want the ability to turn my washing machine on and off remotely. Perhaps if I wanted to have a load started before I got home from work so that it wouldn't be sitting in the washing machine all day growing mildew. The TP-Link HS110 Smart Plug uses the KASA app to interact directly with the device. You can link KASA to Google Home and control the on/off toggle. However, if you want to check current energy consumption or if you want to get a report of past consumption, you'll have to go through the KASA app. That seems to be par for the course for that sort of thing. 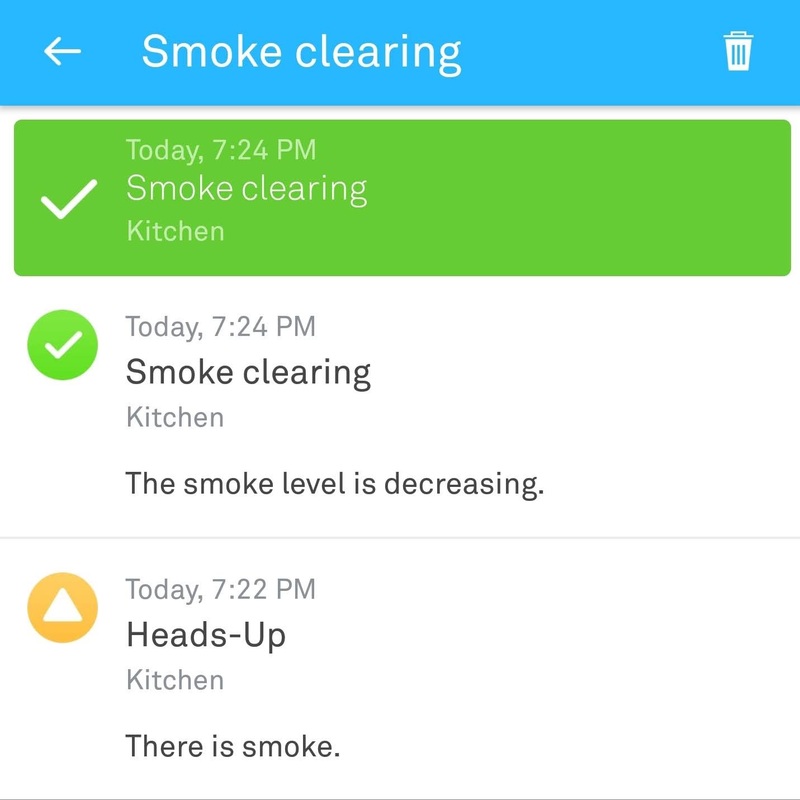 For example, I can set the temperature on Nest thermostat via Google Home, but if I want to access any historical functions, I'll have to go through the Nest app. So, what good is an energy monitoring smart plug if you don't have the desire to track energy usage? Well, in my case, my laundry room is located at the far end of my house and my bedroom is located at the opposite end. If I'm in my bedroom when the washing machine buzzer goes off, I won't be able to hear it, thus potentially inconveniencing any of the other residents in the house who are waiting to wash their clothes. Thanks to the magic of IFTTT, I could create a custom routine to set an alert to notify me when "current power" drops under, say, 500 watts. I know what you're thinking: I can just make a mental note to keep better track of when I expect my washing load to be done. 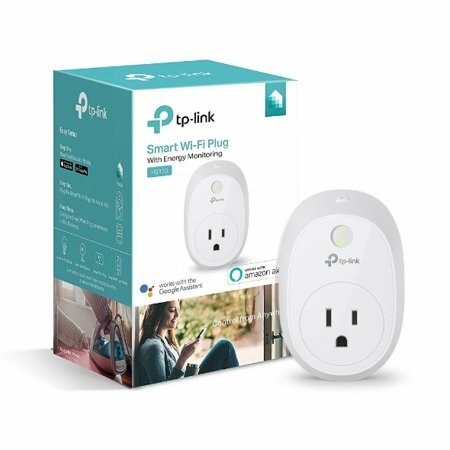 But, with the TP-Link HS110 Smart Plug and IFTTT, I don't have to. A rep from one of those SEO Optimization companies called me hoping to get me to sign up. I transferred them over to Clovis who began by bragging that he knows more about the web than a spider. When the rep began to tell Clovis about website promotion, Clovis said that his website deserved a promotion from Captain to General. The rep explained that they would scan the website for issues and Clovis said that he had plenty of shoes to identify. The rep started to talk about identifying an I.P. to which Clovis said that he wasn't into golden showers. Clovis then asked how much the rep would pay him in order to have the rights to promote the website. Clovis asked for $10,000. Clovis then remarked about his drinking problem and asked the rep if he liked to get drunk at work. The rep seemed desperate to hand Clovis off to an account manager and asked Clovis to hold on. Clovis began to sing "Baby Hold On" by Eddie Money. The rep hung up.